There are still a handful of trading days before the New Year, but after a big US rally that has helped the S & P 500 avoid a bear market, a balance sheet is needed. The Dow rose 1,086 points on Wednesday, gaining 5%. The S & P 500 rose 5% and the Nasdaq 5.8%. The banner's performance helped US equities to catch up some of their declines since the start of the month, while the Dow was still down about 10% in December. The Nasdaq and the S & P 500 are in the same range at losses. In early Thursday, there was evidence that Wall Street could join another criminal day. 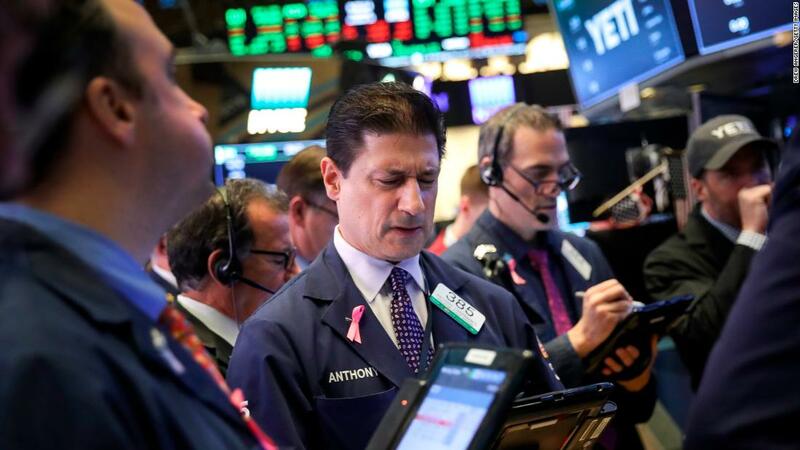 US equity futures were significantly lower and global markets were mixed.
. 2 Walmart and Amazon in India: The Indian government has tightened the rules on foreign investment for e-commerce retailers and dealt a blow to Amazon (AMZN) and Walmart (WMT). The Department of Trade and Industry said in a statement that it prohibits online retailers from selling products manufactured or marketed by companies in which they hold equity interests. "We are currently reviewing the circular," said an Amazon spokesman. Flipkart, owned by Walmart, did not immediately respond to a request for comment. 3. Gatwick sells: French construction company Vinci said Thursday it would pay £ 2.9 billion for a 50.1% stake in London's Gatwick Airport. Gatwick, who had to stop flights before drones for drone flights before Christmas is the eighth largest airport in Europe. In the UK only more passengers are handled by Heathrow.
. 4 Global Market Review: The Hang Seng of Hong Kong and the Shanghai Composite fell more than 0.6% after weak Chinese industry data highlighted the difficulties of the world's second largest economy. European markets were on their first day of trading in the red since Monday. US crude oil prices fell 2% after a big jump on Wednesday. Investors still have many reasons to annoy the stock markets. "To call for a bottom, we need at least a couple of days of strength, not only in terms of price, but also in terms of trading volume and market breadth," said Hussein Sayed, chief market strategist at online broker FXTM.